If you are wedding planning classic cars and want to get the right vehicle for your wedding, here are a few Champers Rolls-Royce Wedding Tips. It’s not every day that you get married to that special person in your life. Wedding planning is stressful so many things to consider. So let us take a little of that stress away. Why opt for the ordinary when you and your spouse-to-be can sit back, relax in luxury and arrive in style. Why settle for an everyday Limousine when you can arrive in one of the best and well-known vehicles in the world – simply a Rolls-Royce wedding car? Champers Classic Rolls-Royce vehicles set the standard when it comes to luxury, elegance and exclusivity. Arrive like a movie star; it’s your day so make a grand entrance. When Wedding planning classic cars, believe it or not, are often overlooked leaving many disappointed when a vehicle of your choice is no longer available. So here are a few tips to help you along the way and take some stress out of an already stressful situation. 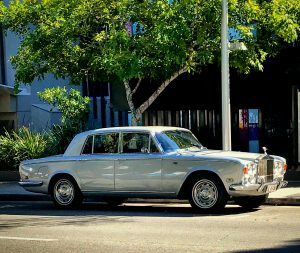 Our classic Rolls-Royce is very well maintained and cared for. It’s regularly serviced, fed and watered and thus gets booked in advance. If your wedding is high season in other words springtime booking early to secure your vehicle is essential. Ideally plan to book your vehicle at least six months in advance. You are wedding planning classic cars which often are a feature of the day. Most limousine businesses have a website. So make sure you check the details with each owner to ensure what you see is what you get. If you get the chance arrange an appointment and go see the vehicle. This will then help you avoid any unwelcome surprises on the day. Look it over and make sure there are no dents, scuffs or ripped leather or upholstery. Also make sure it’s equipped with air conditioning an absolute must here in Queensland. Always ensure your supplier is adequately insured as many operators out there only provide vehicles as a hobby based business and overlook this important fact. We have the relevant insurances in place. Don’t be afraid to ask the supplier for evidence of their insurances. We certainly wont be offended. Most limo companies charge by the hour and Champers Rolls-Royce Hire is no different. We have a min two-hour hire period. We discuss with you in detail how long you require the vehicle for and we will even work out the best and most direct routes for you. Thus avoiding any unnecessary charges. You should also make sure that you account for the time the chauffeur has to wait for you. Typically, at the venue and when photographers take you to the back and beyond of nowhere for that all-important shot. At Champers we are pretty flexible so you are unlikely to get any surprise charges. Never be afraid to ask for a payment plan to ease the budget. 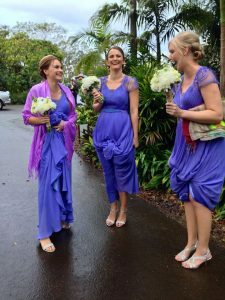 All wedding days are special because of the loved ones, friends and relatives who are present to share your wedding with you. Have you thought about their transportation needs? OK, many use their own transport for convenience and ease. However, if you have interstate or even overseas visitors you’ll perhaps have to take them into consideration too. At Champers Rolls-Royce we have many connections in the business that can take care of these needs. You need a coach? We have it covered, people mover? Again covered. Talk to your Groom or partner, as perhaps they too want to arrive in style. So for the boys we offer a classic 1966 Mustang Convertible. Your Bridesmaids are also very important. So think about their needs as well. Our Range Rover can make a great second vehicle and also helps keep costs down. So, with enough time and preparation wedding planning classic cars and the right classic car company, you can enjoy your wedding knowing that you have gone through a few small steps to ensure everything runs as it should.